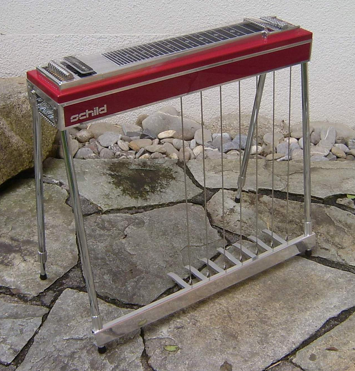 After a break of more than 8 years, in 2003 I started to put new ideas and insights into the development of my pedal steel guitars. The universal S12 shown above is the result. Hans Holzherr tested and played the instrument extensively.